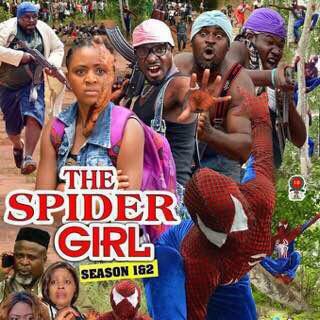 The media in the United Kingdom has taken swipes at a Nollywood movie entitled Spider Girl, seeing it as a very poor imitation of the Hollywood all time block buster, Spider Man. The film which is produced by Priced Penny Films, has had its trailer on social media platforms with the lead actor performing some ‘out-of-this-world’ stunts but the UK Metro and Unilad Uk are not finding it funny as they both tore into the movie. We’ve had Tobey Maguire, Andrew Garfield, and now we’re anticipating Tom Holland’s younger-take on Spider-Man in Captain America: Civil War, but Nigeria is throwing their own interpretation into the Marvel Cinematic Universe. 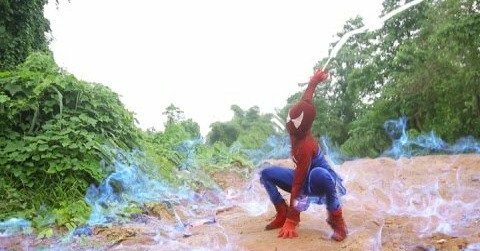 Prepare yourself everyone: Meet Nollywood’s incredible Spider-Girl. As you can see’, Spider-Girl could easily stand toe-to-toe with giants in the Marvel Universe; flinging enemies into the sky and saving vehicles which are mildly going over the speed limits. If anything, the real stars of the show are the powerful screams from civilians startled by her presence. It’s the kind of shrill Daredevil could hear from Hell’s Kitchen. The genuine movie trailer is one of the many treats offered by Nigeria’s Hollywood equivalent, which celebrated its 20th anniversary in 2012. Comic fans around the world are waiting with bated breathe to see what Tom Holland’s performance as Spider-Man is going to be like -but the poor guy may have been outshone before he’s even webbed up his first bad guy. Meet Spider-Girl a gender bent, copyright infringing adaptation of everyone’s favourite wall-crawler straight from Nigeria’s version of Hollywood, Nollywood.